We’d love your help. Let us know what’s wrong with this preview of The Art of Capacity Planning by John Allspaw. 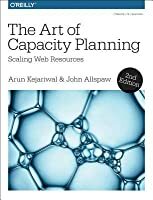 The Art of Capacity Planning is Success on the web is measured by usage and growth. Web-based companies live or die by the ability to scale their infrastructure to accommodate increasing demand. This book is a hands-on and practical guide to planning for such growth, with many techniques and considerations to help you plan, deploy, and manage web application infrastructure. To ask other readers questions about The Art of Capacity Planning, please sign up. I loved this book, I skimmed a lot of sections, but in general it has great content on running cloud services. Не так хорошо как "Web Operations". Ну и не так актуально, при современном засилье облаков. I was expecting more from this book. It's a basic book although good for those who doesn't know anything about the topic. The Reading and Reference sections are pretty good though. I first read this in 2009 and realized on rereading that this book has had a tremendous influence in my career. I don't think the term "DevOps" shows up anywhere in this book, but if you want to start bootstrapping a new developer into that way of thinking, Allspaw shows instead of telling what it means to pay attention to the operational side of house. The author says "a good deal of the information in this book will seem a lot like common sense", which I'd agree with. It all seems eminently reasonable, but you may not find many net-new things in reading it if you're experienced with basic systems administration and operations. Good information about planning a large website's capacity needs based on pre-Yahoo Flickr's experiences. 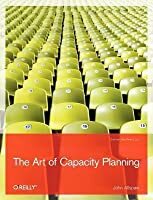 Decent intro to capacity planning but I wish it would go deeper into the capacity planning process, challenges, patterns/anti-patterns etc. It's a bit too general. Simple y al callo. Se lee mas como una serie de blogs semi independientes que como un libro. Punto de partida desde el cual se puede profundizar en varios temas segun el interes y la necesidad.